The owner of this white E92 335 coupe had me vinyl wrap his roof and rear diffuser in the 5D gloss carbon fiber vinyl material. This was one of the cars that I worked on during my norcal / bay area wrap tour. It is a bit difficult to capture the shine of the carbon fiber weave on flatter surfaces, especially on the rear diffuser, so in some angles/pictures it may not be as apparent. 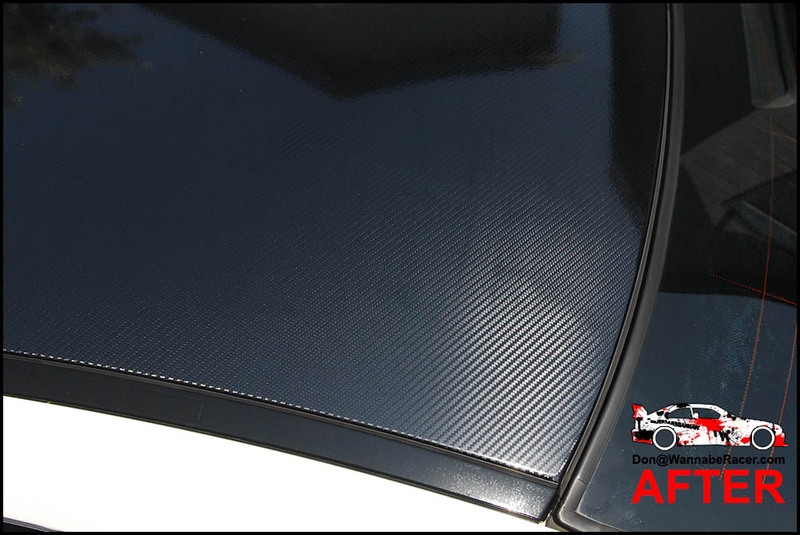 The carbon fiber vinyl provides an unique look, because from far away the wrapped pieces will appear as if it was just done in gloss black, but then from certain angles or as you get closer then the carbon fiber weave begins to shine and show its pattern.